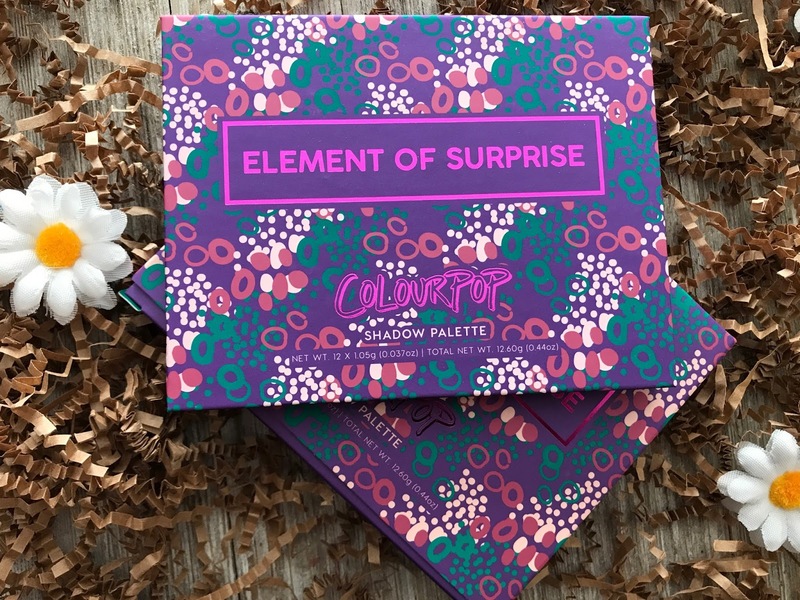 Today I have one of the two newest ColourPop pressed shadow palettes to share with you, the Element of Surprise Eyeshadow Palette. I only got this two days ago, so this is a swatch-only post, but I thought I should get the swatches out to you asap. 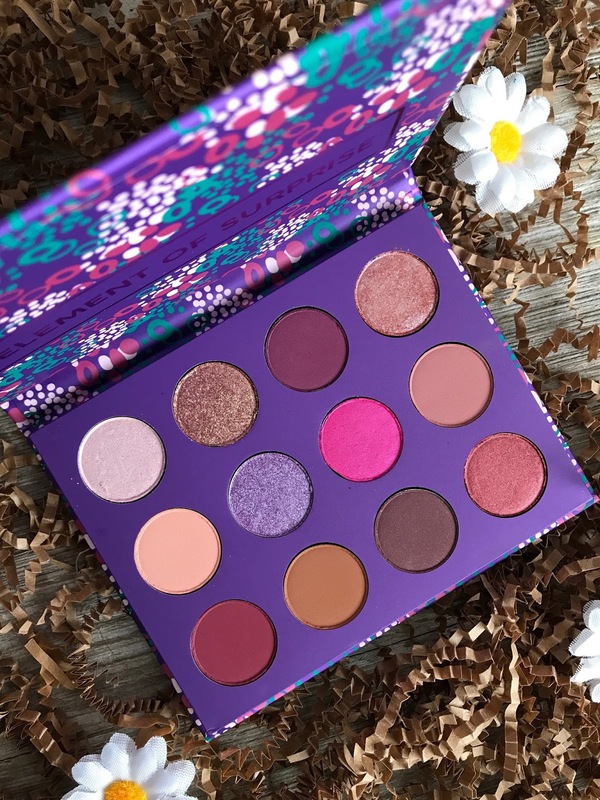 As far as I know, this palette is currently in stock on the ColourPop website, and I hope my swatches help you decide it you want to pick it up or not. The ColourPop Element of Surprise Eyeshadow Palette is $16 and seems to be the last of the no-mirror palettes. The You Had Me At Hello palette launched the same day as this palette and that one has a mirror and costs $18. I do like the addition of the mirror and the fact that ColourPop only raised the price by two dollars, still making these palettes incredibly accessible. 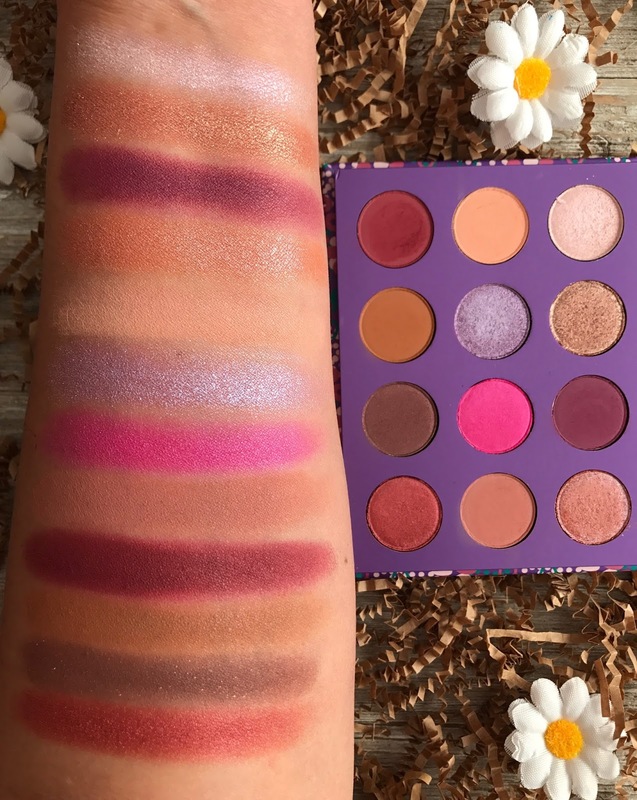 When I saw that ColourPop was launching two palettes at the same time, I wasn't sure that I needed both and this is actually the palette that I almost skipped on. Now that I have swatched it, I am glad that I got them both. I really wasn't sure about the shade opulent, a bright fuschia, but that shade actually gives the rest of the palette a nice pop of color. I will probably never use that shade, but it def brightens up the entire palette. It's quite a pretty palette isn't it? I was most excited for the matte shades as well as the purple shimmer (Subdue), which is really nice! Subdue is definitely my favorite shade in the palette followed by Labyrinth, Sea Stars and Blank Canvas. Just based off swatches there are three shades I think could be better - Silk Street swatched a bit patchy and isn't very pigmented. Then there is Feels which again lacks pigmentation and is not as buttery or shimmery as other shades like Subdue. That shade actually looks quite pretty in the sun, it has a beautiful shift to it, but in regular light it doesn't look great. Details is supposed to be a smoky burgundy but it looks more brown than burgundy, plus it's not very pigmented and matte shadows with glitter pieces are just never my favorite. 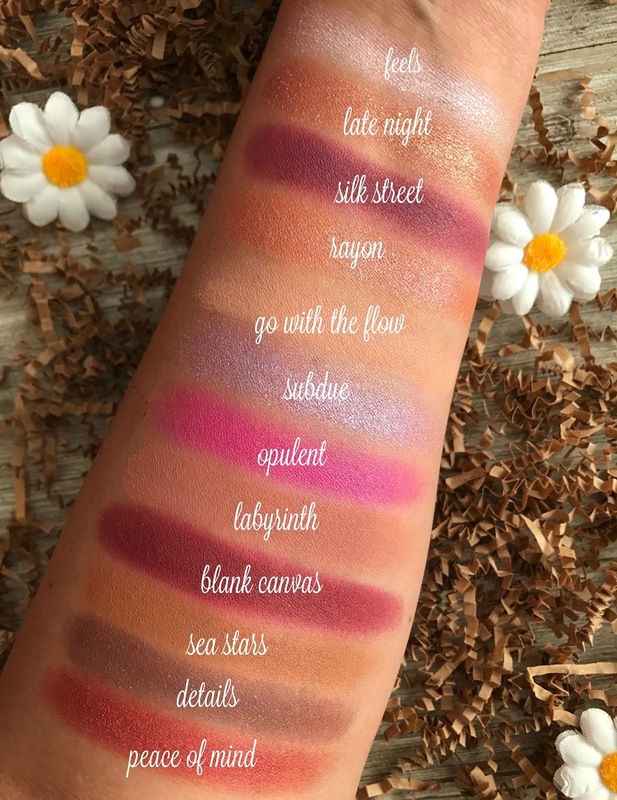 Overall though I was pleased after swatching the entire ColourPop Element of Surprise Eyeshadow Palette. While I don't think all the shades are super succesful and not all are as pigmented as they could be, there are some shades I like a lot. 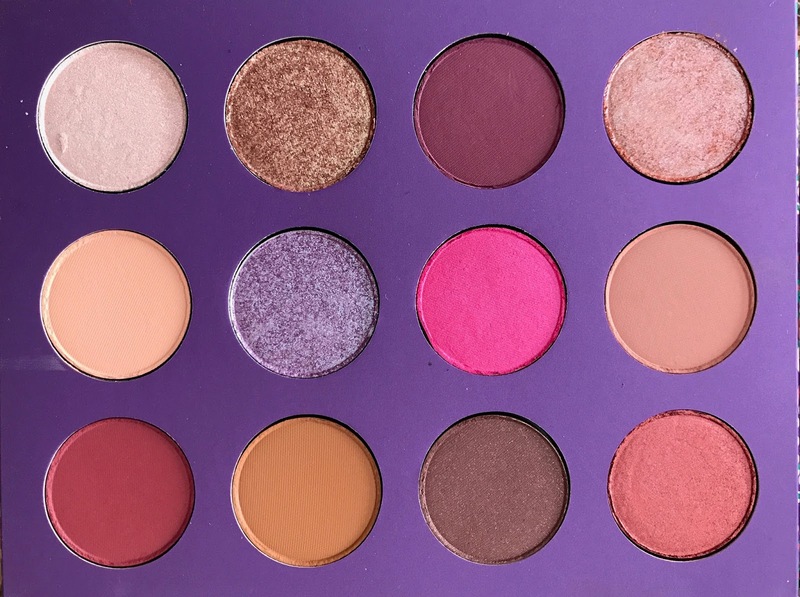 As of right now, I feel like the quality of this palette is not as great as some of the previous pressed shadow palettes have been, but that will remain to be seen until after I actually use it. All these thoughts are just based of these swatches for now. I will come back and update this post once I use the palette and def look out for a swatch post of You Had Me At Hello, very soon!